My husband is really into plants. He’s quite good at growing things from seed. The only problem is that we have plant “debris” all over the kitchen. Pots, seeds, the watering can and more pots all precariously stacked around the dining room with some my delicate creatures under a grow lamp. Clutter drives me nuts and I’ve been forced to make an exception for living clutter. 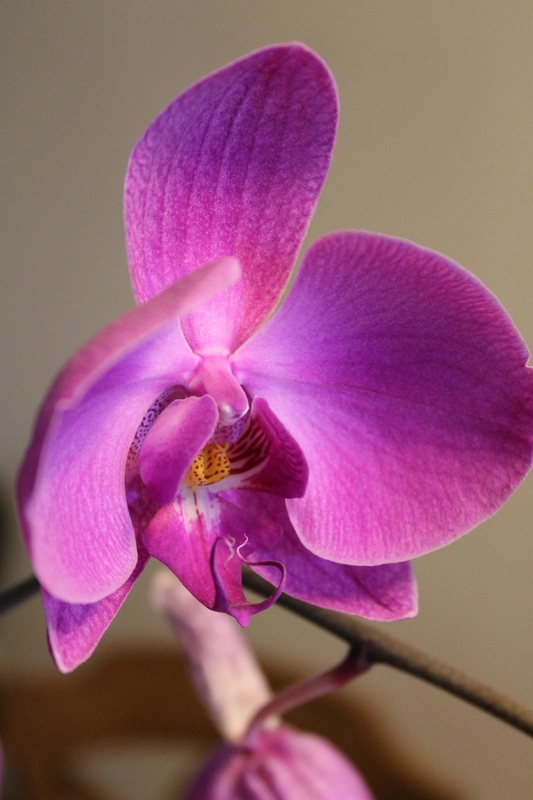 He had this orchid plant that bloomed and then it was silent. I told him to toss it. Of course he refused. I grit my teeth and wouldn’t you know, it rebloomed and produced what you see above. How can I hate his hobby when it yields something so beautiful?